The brand LDV when it comes to automobiles is one of the most recognised vehicle providers in Europe today. Although still new in Australia, LDV is known for its European market as a successful provider of cargo and passenger vans. In fact, it is even being used by the British Government for use with their Royal Mail, Royal Bank and even for transporting the British Royal Family. The vans and people movers that LDV Automotive is known for are manufactured in China by the Shanghai Automotive Industry Corporation which would then be imported to Australia. For those of you looking to get a vehicle that offers great value by providing as much as nine seats for passengers, then the LDV G10 People Mover is an ideal choice. This vehicle is made to carry people and does so comfortably. It offers nine total seat models and wide interior cabins to make sure that everyone has ample space to relax while travelling. When it comes to value and performance, the G10 Van from LDV is surely worth the price tag. 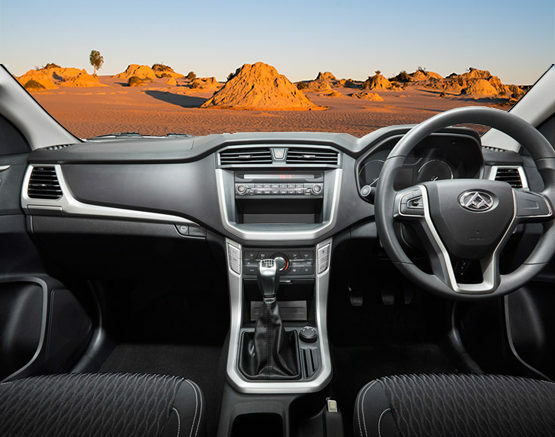 It is available in both diesel and petrol engine with manual or automatic transmission and a wide cargo spice. The G10 Van provides ample access via two sliding doors with a choice of ban doors or rear lift tailgate. Just like the People Mover, the G10 Van was designed to have a spacious cabin and the comfort of the passengers and the driver in mind. This new LDV T60 4×4 ute boasts premium features, technology and a safety rating of 5-star from ANCAP. It has a 2.8L turbo diesel engine and has a towing capacity of 3 tonnes. Its Hill Descent Control and on-demand Rear Differential Lock will make even the roughest tracks a cake walk. LDV is simply the only brand where you can get a 4×4 that boasts a 2.8-litre turbo diesel engine, 3-tonne towing capacity, 1,255 payload and a 5-star ANCAP rating. Their T60 Cab Chassis Ute provides the best value for a 4×4 cab chassis in the market right now. Its sturdy aluminium tray, tough exterior and solid build will give you everything you need to accomplish your outdoor tasks. Being one of the most popular commercial brands of vehicles in Europe, LDV cars are an excellent and reliable choice when it comes to vehicles today. Whether you plan to get the van, people mover or ute, you will surely feel an improvement in your driving experience depending on your need. 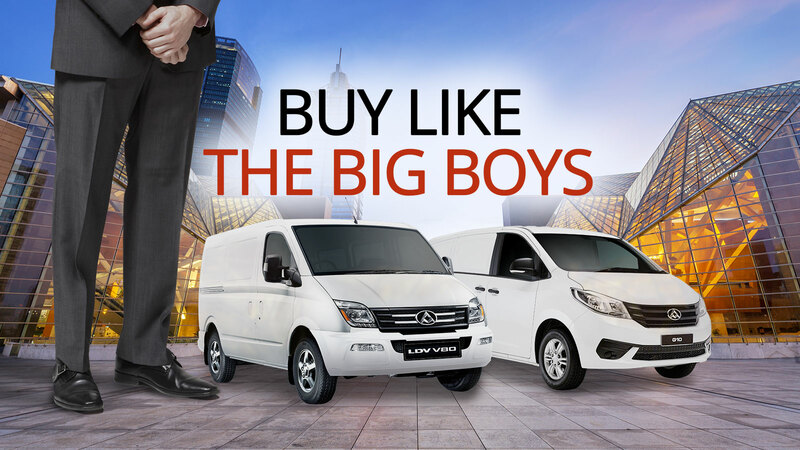 Potential customers can benefit from several financing solutions when they choose to purchase from LDV today. For those that are thinking that money might be a problem in owning a ute or a people mover, then you’d be happy to know that there are various solutions from LDV available to meet your needs. Although SUVs are quite popular today, the high demand for people carriers is still strong too. This is even more true in a world where being practical is a top priority. The G10 People Mover from LDV makes up for this great demand and is capable of comfortably seating as much as nine people, depending on the version you’ve chosen. The vehicle makes it possible for a group of employees or the entire family to travel comfortably together. The vehicle has a 165-kW twin cam turbo-charged engine that is coupled with a ZF 6-speed automatic transmission. By combining these two, you can get an amazing drive that is made even better with the on-board equipment to make long journeys a lot less stressful to everyone. The entertainment system has six speakers, a 7-inch LCD on the dash and a DVD player. The LDV Australia lineup feels very smooth to drive, even when they are occupied fully. These vehicles are made using high-quality materials and top of the line equipment so a good driving experience is guaranteed. They have also undergone severe test drives on uneven roads, and the results are the same overall. Without a doubt, LDV is one of the best brands that you can go for when choosing a ute or people carrier in Australia today. Overall, the brand offers some of the most practical and comfortable lineups of vehicles that you can get right now. The value that they offer for their price is incomparable to others that are available in the market. LDV Automotive is here to stay, and the company is invested in providing reliable vehicles that do the hard yards. If you’re interested in a test drive with one of the LDV cars that have been mentioned in this article, contact John Hughes now to book an appointment!